If you missed our original write up on the Father's Day promo presented by Panini...check out our link below. As they continue to release more info on these we will continue to update. I had to choose this card. 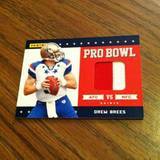 It's a Panini Black Friday Pro Bowl jersey Card of Drew Brees. I find this card sweet in design, piece of jersey and just looks nice. You could find these in Black Friday packs. I bought it off from eBay. Another reason to post this card if the fact the NFL brought back the Pro Bowl for next season. IF YOU WOULD LIKE TO PARTICIPATE IN THIS FAVORITE CARD THURSDAY..PLEASE EMAIL US AT sportcardcollectors@hotmail.com AND SEND US A PIC OF YOUR FAVORITE CARD AND WHY!! I would like to say Happy Memorial Day to all of my readers. And I would like to Thank all of the Armed Forces around the world for all of the sacrifice and all that you do for us everyday. Thank You! 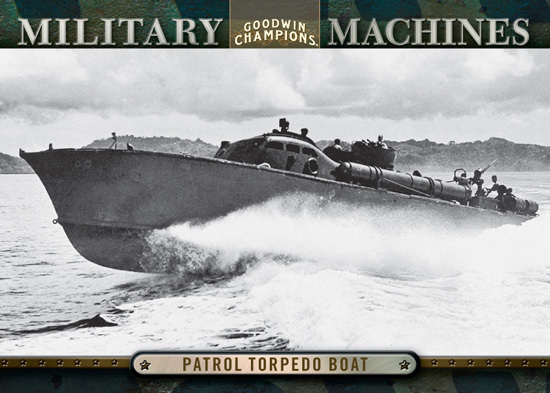 I will now share some of the photo's that Upper Deck posted the other day as a tribute to the Armed Forces. I will also be using this as a tribute as well. 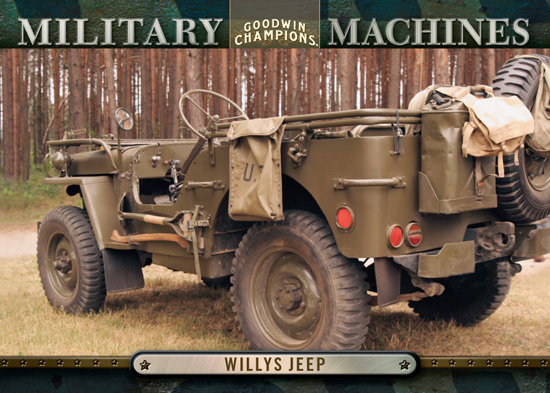 These cards will be in their upcoming Goodwin Champions 2012 brand. And once again thanks to all that serve this country! Panini Redemption mailday..part 2: Panini's CS is the Bomb! In the write up we question the value of the card we got in return compared to the one we were supposed to get. After some research...we found the values were not equal. So I called Panini CS and this is what they mailed me to make up the loss. They mailed this card out and it got to me within 3 days! John Taylor National Treasures Ring of Honor autograph numbered to 50. I thought it definitely made up for the value. Panini's customer service continues to improve and with that being one of their former weak spots...the company now is rising even higher to me as the best. I am not the only one who is thinking so. I have seen a lot of compliments recently on their improving customer service. How do you feel about them? Have you had a good or bad experience recently with them? Let us know in comments! Do You bust on the road? Now, I have got to admit. I have been seen opening packs behind the wheel. My wife can also say she has. It's just so tempting if you have packs sitting next to you on the floor or seat. How can you wait? How can you have the patience to get home and open them? What happens if what you open has junk and then it leads you to disappointment then road rage? Or what if your biggest pull is in there and you are so distracted you drive like a NASCAR driver to get home to protect it and check its book value. Now, I haven't ever gotten in an accident. But I have come close to not paying attention when I am on the road attempting to do this. Will this turn out to be like texting and driving and be banned??? Probably not. But, I haven't attempted to bust behind the wheel in awhile and probably will never again because of the distraction. The one key I have found to stop you from doing so, is putting your cards in a bag and sticking them on your backseat. Yes, you can probably pull beside the road and bring them up front or just reach around to get them. But please don't. Wait til you get home. You never know...your patience could pay off. If you haven't checked them out yet you are missing out!! They do great giveaways, awesome reviews, previews, and opinions. Not to mention they are great to talk to! "My new favorite card (wich is for sale) lol. Got this about a week ago. 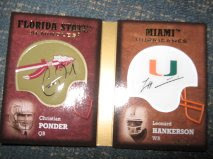 Christian Ponder Leonard Hankerson dual helmet auto 2011 sweat spot." Bloggers Note: if you would like to participate in our weekly Favorite Card Thursday just like Joshua did, please email us at sportcardcollectors@hotmail.com and send us a pic and a small write up! On the main blog page you will see a page for all of these posts so if you send a family member or friend to see your card and post it will be easy to find! Thanks! New York Giants will always be under here. This was a contest won card and chosen for today! Though Andre Brown is not a Giant and did not pan out, Still has a nice autograph and Topps Platinum are nice cards. Panini presents: Father's Day And I am excited! Panini released some info on a Father's Day promotion that's just like the Black Friday one they ran. Where its a wrapper redemption program. And you buy certain Panini products and in exchange you get a special pack that can contain any of the cards below or more that you can find on the link. Do you have any thoughts on this promotion? This was the very first card I ever got back signed from a pro athlete using through the mail process. I sent it to Minnesota Vikings team address not much longer after the draft. A couple of months later my patience was worth it as I checked the mail and found this. John David Booty at the time I thought was going to be the next Vikings starting qb.I thought I landed an autograph of a future superstar. I guess you can say I was wrong, but either way, it was nice to receive his autograph and it was nice of him to sit down and sign the card to be returned with a busy rookie schedule. Here is a just a one pic of what Upper Deck Soccer 2012 will be all about. Looks like some great stuff. For those who are fans of the other kind of Football, these cards are right up your alley. 5 Hits in every box! Including At least one autographed card! At least one multi-swatch or Premium Series game-used card! There are 12 cards per pack and 20 packs per box. Boxes will run you a little over $90. Box Design: I like the box design. Good coloring. RG3 on the front. Stands out on the shelf. Another reason why I picked it up. Pack Design: The pack itself has a different feel. Feels like its more likely to keep the cards protected before they are opened. I like that. As for design, see box above. Base: I found it strange not to hit any veterans or legends. All of the cards were rookies. I did hit some of the top ones in Wheedon, Richardson, Wilson and Tannehil. I like the design with the photography and the silver Star Rookie name standing out and the name put in a blue section. Upper Deck has always done a good job with their photography and not adding too many borders. Inserts: Shiny and bringing back an old design. However, two no name players didn't help this break. The design is nice though. Bonus Inserts: Though we got no names with the inserts, Upper Deck inserted a 5 card Rookie exclusives pack in every blaster box. There are 10 cards in the set to collect. But we landed 3 of the big ones. RG3 anything is a nice find. Trent Richardson as well. The design and feel to these are a little on the low end, but they are much needed added value to this blaster break. Autographs/Jerseys: We wished to have hit something..but didn't. Odds are way against you. But with popular Mascot patch cards and Signed Letterman cards to chase it may be worth the risk. Overall: We hit some good rookies. It doesn't have much in insert terms. And the rookie exclusives really needed to be in there. I missed veteran and legend players being included. But, in order to find out how much this product is worth we will have to wait til the Beckett comes out to see if any of the rookies we pulled were Sp's or not. Blaster, Hobby Box, or Pack Value: 2 1/2 for now. We will have to see how top rookies go and if we got any Sp's. With lack of inserts and really hard odds of hitting it big it could be hard to get your $20 back. I gave up watching the NBA back in the 2000-2001 season. Maybe its because my Knicks are awful, but maybe its because the game is not what it used to be. My favorite years was the late 90's. Jordan, Miller, Malone, Stockton, Ewing, Starks, Mourning, Hardaway, Olajuwon, Pippen, Rodman to name a few. These were players that were both excited and frustrated me. Obviously we know Ewing and Starks got me excited. The other players were frustrating by knocking the Knicks out of the playoffs all of the time. But I still liked the way they played. But it seemed like the players had more emotion and more heart for the game back then. Now it seems players are just in it for the money. And to show them selves off. What happened to the game I once loved to watch? Back then, if you shot the ball, you actually went for your rebound if you missed. Now players just run back to play defense. A ton of teams now can't score 80 pts and I bet even some NCAA teams can beat them. Big point scorers are gone. Loyalty from a player to his team was always there. No big name players left for more money to another team. They stayed put. So called rivalry teams are not existent anymore. If anyone remembers the Knicks and Heat in the playoff in the late 90's...wow...now thats basketball. They fought (and really fought) it out on the court. Each possession mattered. You passed the ball and got it to the open player. You could feel the heart, emotion and hard work pay off as each player put in 100 % effort. Today's NBA just doesn't have that. I have tried watching today's NBA multiple times. I get bored. Maybe I am wrong and maybe I am missing something, but the game is so much more different now. Let me know how you feel about today's game compared to then. A lot of QB battles look to be on for 2012 NFL season. Some of these may have obvious answers. But ones like Kolb and Skeleton and Hasselbeck and Locker and the Seattle battle keep me intrigued. And below I break those three down. Kolb I thought was overpaid and that Arizona gave up way too much for a guy who was unproven. I believe in the end Kolb will retain the spot. Not because he is any better than Skeleton who won five games as a starter for Arizona, but because the Cardinals put so much into him. Hasselbeck is the veteran and has been around for what seems forever. But when he went down last year and Jake Locker stepped in, Locker proved he was worthy of being a top 10 pick. And because he looked sharp at points and that he was drafted in the top 10 I believe he will be the starter. Whether its at the beginning of the season, or by week 6. But having Hasselbeck there to help him along with his progressions. And as for the three way battle in Seattle...Jackson had his chance so he will be third on the depth chart if not released in training camp. Matt Flynn will start the season as the starter. They way overpaid for a guy who only had one great game in his career. I think this is a Kolb situation. They will test him early, if he doesn't step up and play well and Seattle starts off slow..they will put the exciting player in Wilson on the field. And from the sounds of it..Seattle has been very excited about his play in rookie mini camps. Most of the talk about the QB battles will be on Sanchez and Tebow. To me, there is nothing to that. Tebow is not a throwing QB. Plain and simple. They brought him in to help with their lack of running game. Sanchez is the starter. If you have any thoughts on the QB battles and think there is another I missed or you think a different starter will be put in place. Just comment below! Our favorite card this week is Jerrel Jernigan patch auto we won from a recent contest. Love the design and the way it stands out. I do need to put it in a new jersey card case to make it shine even more. We didn't have any pics this Thursday for Fan Favorite Card Thursday. Remember if you have a card to share and want to be featured next Thursday please email us a pic and a reason why its your favorite card to sportcardcollectors@hotmail.com. We love to feature our fans! Received this package in the mail last week of a prize lot we won. Pretty nice lot. Great looking T. The cards are a Finest Patch Rookie autograph (which was a bonus card thrown in) of Jerrel Jernigan and a Panini Player Of the Day set that includes, Eli Manning, Cam Newton, and Julio Jones along many others. Here is the blog we won this awesome lot from!! You should check them out! 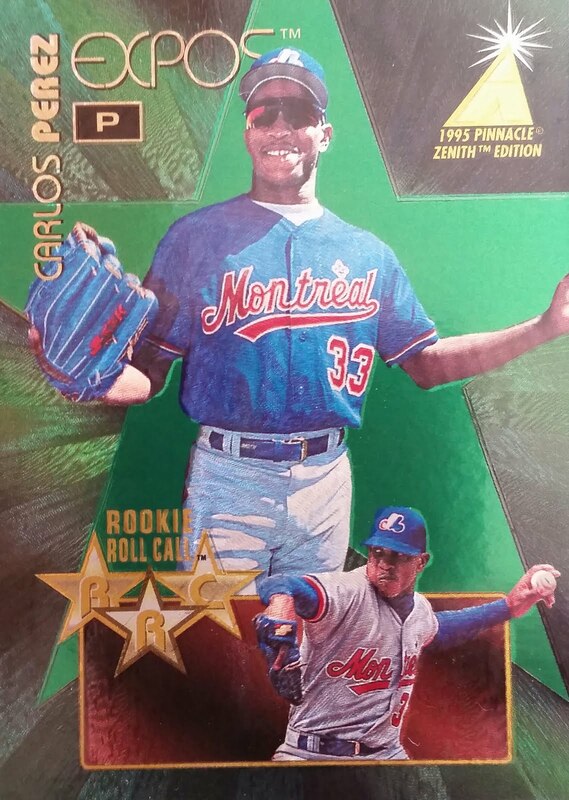 Packs: Two of the top rookie prospects..can't go wrong! Very eye catching. Base: Good photography, but what bothers me is they should extend the photography. Don't use a white border to take up a lot of the picture. Chrome Base: The white border doesn't bother me as much with chrome. Maybe because its chrome and I have always been a big fan. Inserts: Gold parallels falling one per pack. Internationals falling 1:4. Refractors, Bowman's Best and more. This product has a ton of nice looking inserts. Overall: I am not much of a prospector. Which is definitely is what this product is all about. I try to get the main rookies and my main chase was to get Bryce Harper which I was not successful at. But I would recommend this product. It has a lot to offer. And for only a few bucks a pack..you never know what can come out and surprise you from this. TTM, otherwise known as Through the mail autos can be a fun experience for any collector. The anticipation of possibly landing your favorite player from your favorite team. Wow. You can drool just thinking about it. 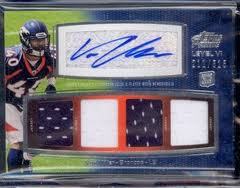 I have only been lucky enough to land one of my favorite players from my favorite team the New York Giants. But I have landed other autographs from pro athletes using Through The Mail. The Giants player I recieved is RW McQuarters who I sent this Topps card to after the Giants had won Super Bowl 42. I was actually shocked to have gotten it back. I sent him a letter of thanks for making big interceptions in the playoffs that season to help carry the Giants through to the Super Bowl. And to show his appreciation for me as a fan, he sent me the card back signed. I have some tips on how to land some autographs from your favorite teams without having to spend anymore than 2 stamps. 5th: Make your letter personal. Don't just type up a generic letter. Make it about their career and yourself. I have not had great success, 12 returned out of 60, but I did have some returned and these were my keys to success. I wish you all luck and I will be sharing on and off which ones I got back. One of those is posted here. If you have any other questions just leave them in the comments section and I will do my best to answer them. We really liked the topic Upper Deck brought up this week. What should we do to get kids interested in collecting new trading card sets? I like to twist their sentence a little and put it as, what should we do to get kids interested in the hobby in general? "Here is a new/old idea. How about introducing kids through collecting by putting 1 or 2 cards into cereal boxes? This hasn’t been done too often since Post had them in their boxes in 93 and 94. Have a checklist of about 10 players and have one card per box of cereal. And from here move onto other foods as well. Kids love food. You can put mini cards into boxes of Cracker Jack. Put them into fruit snack boxes. I was a kids once and nothing was more exciting than finding something special in my box of food. Thats just a start. Put cards and video games together. In order to get kids into this great hobby, you have got to target their favorite spots. If they really dig what they find in their box of cereal or in the other foods or video games for free cards, it could push them into buying the real stuff. But there has got to be a kid friendly brand(s) out there for them to purchase. Not something too expensive (I have seen so many parents not buying because of price), too confusing (meaning no Sp’s and variations), or too much in depth with the product. They need something simple, colorful, eye catching and on a kid level. Die cuts, refractors, cards that you can feel (ones with felt or bumpiness) could be attention drawers. And maybe besides sports, doing their favorite tv shows might be a draw in. You never know." This was only part of an idea I had. There is a ton of stuff we can do to fix the hobby to draw interest from younger fans. I now post this question to you guys...what do you think we or card companies should do to draw in a younger fan base so the future of our hobby doesn't disappear? "This is one of my favorite cards: 1948 Bowman Yogi Berra. It was the first "Vintage" card I got when I first started collecting baseball cards when I was 9 years old (that was 45 years ago). 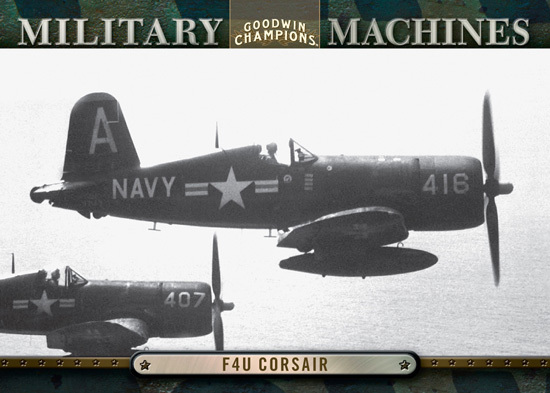 Albeit it wasn't that old of a card then compared to today's standards but it was my first." "my favorite card is my Von Miller auto jersey bought it for $6 lol"
Thanks for the email Joshua and the write up. If anyone else would like to join this just drop us an email at sportcardcollectors@hotmail.com with an image of your favorite card and why it is your favorite and your name! Thought we would give these a try. Didn't have great results. But here is what we got! Packs: Love that they have 3 different players. Base: Not bad looking. Press Pass does nice with their base cards. Landscape layout with the players jersey number in the back next to the player. Then a white bottom border with the players name in silver. Wished they had some form of license so the helmets are not so bland. Inserts: We got a reflector numbered to 299. And every pack contained a gold parallel. The reflectors have always been one of my favorite inserts. They are like Topps Chrome refractors. Sport Card Collectors Overall Rating: 3. This product has a chance for great hits. You can score up to six autographs in every box. Which is why we were surprised not to land one out of our 6 packs. It was a fun bust. Something new to try. Kind of a flashback buy since this was one of the first releases of the 2011 NFL Football Cards season. Here is the breakdown! Box: It catches my attention with the 1 exclusive NFL Rookie Team Patch inside then it also catches my attention with the two top players on the front. Packs 2: Who doesn't like an extra shiny pack that has a rookie patch in it!!! All eyes are drawn in! The one thing all of us collectors love is something shiny! Base: I like the designs for the base and the rookie cards. The Football look and the players name and team name stand out. The rookies with the NFL Draft name quietly placed in the back and the standout team name and what round the player was drafted catches your attention. However, I don't like how they feel so paper thin. Inserts: Lots of parallels, some nice looking inserts. We got a Cam Newton NFL Draft so that made the blaster much better. Memorabilia: Its a one per blaster hit. A fake patch card, but its cool and its numbered. To make these more unique, its a pre-draft patch. Meaning most of these were made with the wrong team to the player. It was like Topps did a mock draft. This one is of Von Miller. He obviously doesn't play for the Titans. But from some research I have done on multiple sites, this is what I have been hearing about these. Autographs: None. Wasn't lucky enough. Sport Card Collectors Overall Rating: 3. We have it this score because the patch is nice. The design of the overall product is nice. But the paper thin feel to the cards take away some of the value we feel. But we would recommend picking one up if you can find it cheap as we did. I really loved the design on these. They were first previewed as an insert in the regular Fleer brand. To which I immediately bought them up and made sure I got the set. Then I found out they were going to be made into their own product and I just knew I had to get them. I like the layout design done in landscape. The sparkles on the card and the player both shown as his face and in a field position really looks nice. Did any of you used to collect these? Just look at its beauty. The card made on plastic. The shiny reflective look. The player jumps right out at you. If only all base cards now-a-days can be made like this. Set collectors might return. This product was only made for a couple of years but still stands out in my collection as a favorite. Love the base design on these. The die cut. The color design. The hologram of a player. This is by far one of the best base card designs in history. Mail Day!!! Sweet # to 25 Football jersey card! We won another contest from a blog we have been following. This time we landed this sweet Ryan Mallet Topps Supreme Jersey card numbered to 25. We found another thing interesting about this card. Its what the back states : "The relics contained in this card are not from any specific game, event or season"
SportFlix and their uniqueness were around for a few years. 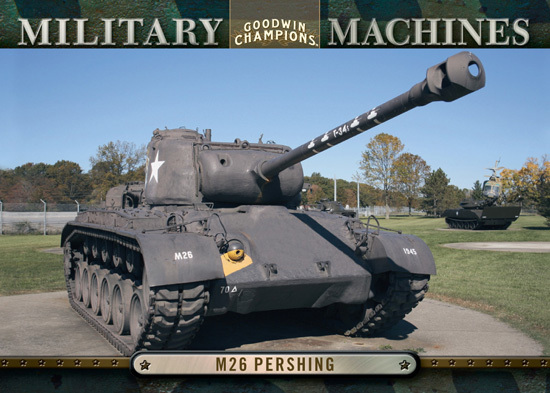 You can move the card back and forth and the player's photo would be two different shots. As for the card above, you can move the card and the name goes from little to big. I believe 1995 was the last year they produced this product. I think the type of innovation used in this would look great with memorabilia or autographs in today's hobby world. Alright. I thought I would break down all 4 major players in our hobby. I will put them in order and give them a overall rating of 1-5. I will also break down their strengths and weaknesses. Strengths: They own the hobby in licensing. They produce nice product and are always trying new innovations. The customer service is getting better. They have great fan interaction on their blog and most of the time will answer emails in a timely manner. They also hold a good amount of contests as well. Weakness: Tons and tons of redemptions! Customer service is a working process. Not much fan interaction on Facebook. Need a MLB license still (not that they probably won't get one soon). Overall: I like Panini. I am not just saying that because they are our sponsor. They have nice products. They are fun to talk with.They hold contests. I do wish they would work on the redemptions a little, but every company has them. And redemptions are another topic for another day. But I feel that is their biggest weakness. Other than that, they rock the hobby right now. Strengths: Upper Deck has good customer service (at least they did the times I have used them). They own licenses for NHL, NCAA, MLS, and Golf. They do random giveaways on their Facebook page, communicate with fans on there and answer questions and they also do Hockey Card Day in Canada and now even in the U.S. where they give packs of hockey cards away at participating Upper Deck Diamond Dealer shops. Upper Deck also has something called the Upper Deck Volunteer Alliance where you can "work" for them and in exchange you could earn yourself a tremendous mail day. Weaknesses: It's all about the lack of licensing. It has hurt the once Giant in our hobby. Overall: You have got to like Upper Deck still. They still have popular products like Sp Authentic and bringing back some old classics like a Fleer brand in their basketball card lineup and Spx for football. If only they could get back the licenses they lost, they could once again be a powerhouse in the hobby. Strengths: Press Pass has licenses for Football cards (no NCAA or NFL) and their biggie NASCAR. They produce some incredible on-card autographs in their products and they rule the NASCAR card world. They also produce non-sport cards such as Elvis (awesome stuff) and Yo Gabba Gabba. Their customer service is good. They hold random contests on their Facebook page and are pretty good about getting back to their customers who have questions. Overall: They do well with what they got. And they have great contests . Not to mention, they do things for our solders overseas. You just can't go wrong with Press Pass. They will get a higher rating because of the little things they do. For us customers and especially for those who protect us overseas. 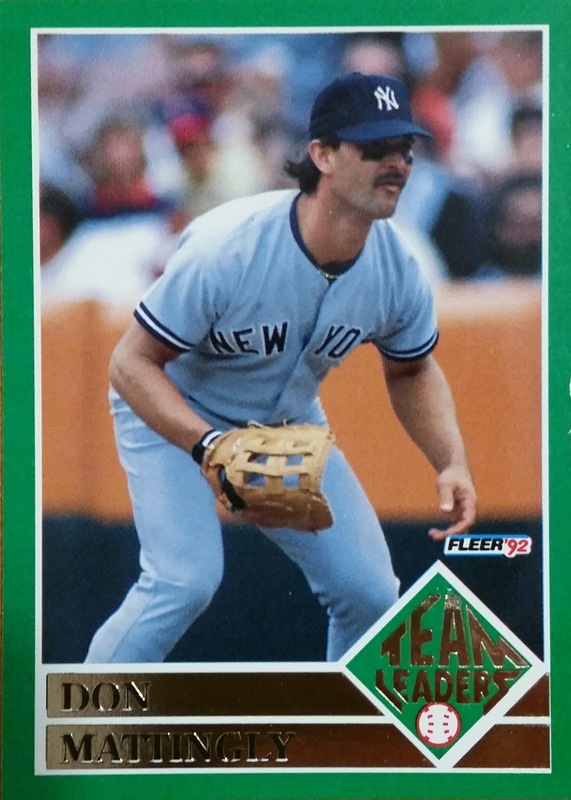 Strengths: Topps has exclusive licensing to MLB cards. They also product NFL, UFC and some minor league brands. They produce decent products. Some of the popular ones are their Chrome lines. Weaknesses: Lack of customer help. They don't answer emails. They don't answer you on Facebook. They don't really do any contests. Probably by far the worst service between all of the companies. Overall: I originally had them at a 2. The lack of customer interacction can destroy a company. Maybe others have had better success than me. I must admit, that I am a Chromie and love the Chrome. The biggest reason why I bumped them to a 3. But they have some definite work to do. Do you agree or disagree with my ratings? is there one you would have marked higher or lower? It's always fun to get into a hobby debate. So, if you have an opinion on whether you agree or disagree, please feel free to comment!!!! Now this may sound, oh boy, mashed potatoes, and who doesn't know how to cook them. Yes. Making them is easy. I am just showing you what else you can add to make them the best ever! And to go with the meat loaf recipe we posted last week for a complete meal! A generous amount of potatoes, usually around 2 to 2.5 pounds depending on family size. Scrubbed, but unpeeled and cooked. Cook the potatoes with the peeling on til they are done. Mash them up with the stick of butter. Add the milk and the sugar and parsley. Serve and enjoy!! First off, we want to thank Upper Deck for providing us with this box to not only review, but to be able to do some giveaways from :) Look for those in the near future!! Box: The box design has premier athletes on the outside of it such as Michael Jordan and Landon Donovan. Wrapper: Matches the box. Shiny. Kinda Catchy. Base Cards: Clean. Good photography. Upper Deck has always done a great job with this and with not covering the cards with borders. And this brand covers all sports from Lacrosse to Golf to Football. Some of the base cards also have SP versions to them. We got 5 in our box. Inserts: The only insert this brand has is World Of Politics. We got Newted. Some of these, not ours, are short prints. Memorabilia: It, just as the title of it states, covers all sports. We got an Lacrosse swatch. its pretty cool. Autographs: The autographs were nice. Some people don't care for sticker graphs, can't say we can complain. However, the only complaint we have is the dullness to the Athletes Of The World autograph. No pic of the person. Not very creative. And we didn't really hit it big with big name autos. Some of whom you can get is Michael Jordan, Cam Newton, and Landon Donovan. Overall: A very, very unique product covering a ton of sports and over the world athletes as well. We beat the odds and got 4 hits instead of the stated 3. But, don't really know if the value is there. At least for the box we got. Maybe others did better. But still is a nice product and should you have a chance, give it a try if you like to go outside one sport and looking for something new.